These boots were even cheaper to make than the dollar-store wedding gown. 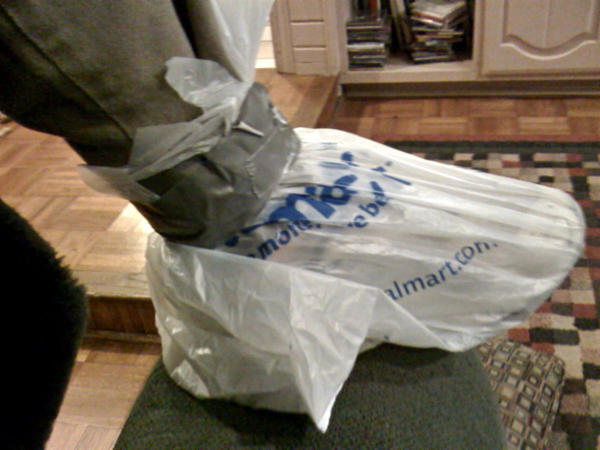 The only materials needed were two bags and duck tape – yes, you heard correctly. DUCK TAPE. (And I’m not even a man – go figure). Of course, you’ve got to wear some really fuzzy, thick socks inside your sneakers to keep your feet nice and toasty – these aren’t fur-lined boots, ya know! (They are PETA friendly). 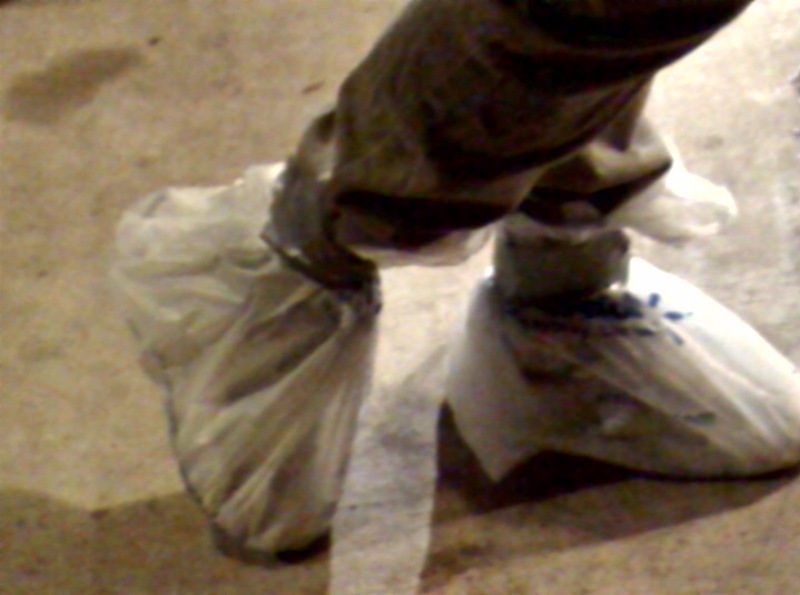 In addition to keeping your feet totally dry, these boots are GREAT as another sure-fire method to embarrass the kids!!! And what parent can pass up an opportunity like that!!? ?